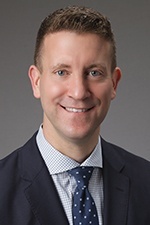 Jason Novak is a litigator who focuses his practice in complex civil litigation with an emphasis on toxic torts defense, products liability, mass tort litigation involving both pharmaceuticals and medical devices, commercial litigation, and general liability litigation. He has substantial experience in counseling and representing clients in litigation involving wrongful death and serious personal injury claims, as well as commercial litigation matters. Mr. Novak joined Hinshaw & Culbertson LLP as an associate in September 2007. Previously he had been a law clerk with the firm since May 2005. He was also a summer associate at the firm in 2006. Prior to his legal career, Mr. Novak worked for four years at the Bedford Falls Company, a film and television production company in Los Angeles, California. He received production credit on a number of projects, including The Last Samurai and I Am Sam, and the television show Once and Again. While in law school, Mr. Novak studied abroad in Strasbourg, France, and Oxford, England, in July 2005. Assisted in the research and editing of the 2006 Supplement to Illinois Municipal Tort Liability, authored by Hinshaw partner, Steven M. Puiszis and published by Lexis Publishing.